I USED TO BELIEVE that science was a fortress within which one could endlessly seek and explore the universe, and its workings, and come to an improved understanding of how the world works. I suppose, to be fair to my friends and colleagues who still perform objective science, that it still is a fortress, being defending by those who understand the value of science as a way of knowing. A REMARKABLE SERIES OF EVENTS is going on in America that historians will no doubt look at as one of our darkest periods. A massive propaganda machine is at work, instilling beliefs in the American public that are based on outright lies, misdirection, half-truths, and other diversions. And the saddest part of this to me is that much of the American public does not just seem to buy the entire hook, line and sinker. The public has been coapted to help run the bait & tackle shop. To understand these events in the proper context, let me be upfront. Billions of the government’s dollars that belong in the bank accounts of vaccine-injured people, and their families, is at stake. The reputation of the CDC, and the careers of the scientists in charge of and involved in vaccine safety research is at stake. Our trust in Pharma is at stake. But the biggest problem isn’t the billions in the Vaccine Fund that are not being dispersed to vaccine injured people. The biggest problem for me is that the sanctity of science is under attack. If we lose that, we lose everything. Objective science requires of its participants one, and only one central tenet: an open mind. Many people in America believe that science is used to confirm, or to prove ideas. It isn’t. Science is used primarily to attempt to disprove a favored concept, or hypothesis. Scientists doing science know better than to allow any particular agenda with respect to reality to push us toward, or away from, any reasonable hypothesis that could explain, in whole, or in part, something in nature, or about us, that interests us. Any Scientist not doing Science is not worthy of the title. The “in whole, or in part” of scientists’ approach to science also very much allows that two or more explanations for a particular phenomenon of interest may be simultaneously at play, influencing the things in nature that interest us. And thus, a finding of confirmation of a role of one, or another factor, examined by itself, is not accepted in Science as a demonstration that a less favored hypothesis is not “THE” correct one. Autism is genetic. Because it is genetic, we do not need to look for environmental triggers of any sort. The condition is pre-destined at birth, and is just a matter of bad fortune. Many, many studies have shown that there is no link between autism and vaccines. Autism does not even exist. It’s actually just other conditions with other names and the entire medical community has been confused for decades. Who could possibility understand the role of specific factors in such a setting? Who would even want to? Let’s look at these issues, one at a time. many “cancer genes” obviates the roles of carcinogens. “Autism is not really on the increase”. The “autism epidemic is an illusion” distraction is clearly a denialist agenda. I will simply, for now, refer the reader to the statistics. Autism rates in the US were 1 in 3000. They are now 1 in 68. Even the CDC, whose job it is to track disease rates and report them annually, reports autism as high as perhaps 1 in 50. The dramatic increase really began in the early to mid-1980, as larger number of vaccines – and larger number of innoculations per vaccines – began to increase. The increase in injected ethyl mercury from 75ug in 2000 to 575ug is a reasonable source of neurological damage, and it corresponds with the thousands of ‘anecdotes’ that have been reported by parents who said they basically lost their child, overnight. Now, there are some who will, and have argued that “correlation does not imply causation”, and they will cite something like a correlation exists between the number of pirate ships on the sea and ice cream sales. The difference – and this is a key difference – is that there already existed, prior to 1980s, plenty of reason to posit a causal hypothesis between mercury and neurological damage. No one chose mercury out of the blue, and no one cherry-picked mercury. The ethyl mercury/autism link was the result of thousands and thousands of observed instances of vaccine first, autism next. And so while correlation does not imply causation, the LACK of a correlation does not rule out causation in this case, because the correlation exists. It is difficult to have a causal relationship between two factors without correlation. 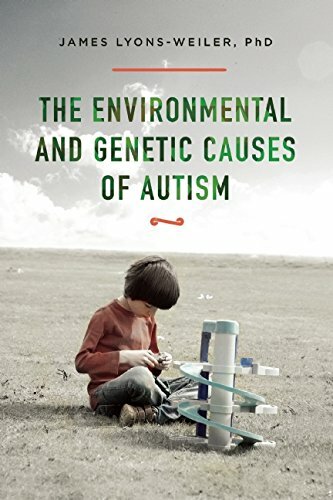 The diagnostic criteria for regressive autism have changed, awareness has changed, and medical doctors who used to diagnose children merely as ‘mentally retarded’ now screen for autism. However, 1/2 of the increase cannot be attributed to these factors (King et al., 2009; Liu et al., 2010). Research on the link between vaccines and autism is not needed. This position has held sway since so many of the CDC published studies reported no association between vaccination and autism. The idea that “Many, many studies have shown that there is no link between autism and vaccines” is now profoundly wrong. Given the disclosures of scientific misconduct by senior CDC personnel in the vaccine safety research conducted specifically to address the question of whether pediatric vaccines contribute to autism, alleged by CDC Dr. William Thompson, it would appear that we are back to square one on the question of the safety of the CDC’s entire pediatric schedule. A Congressional Hearing is called for. “Autism does not exist”. That would be especially convenient. Children’s diagnoses can be shifted into other categories, and the entire issue dispensed with. Since that is not likely (there are something like 5.6 million people with autism in America), they are trying the next best step: stop early autism screening. Major kudos to the AAP, who has adamantly refused to go along with cooking the books by halting screening. If screening were stopped, then the expected drop in new autism cases associated with Merck’s decision to no longer use Thimerosal (as of 2013). Now there’s a push to mandate vaccines for everyone. if they cannot make the disease go away, at least they can turf the responsibility to the government. A growing number of Americans feel that the truth has been tortured long enough. A new era of Progressive Science is coming. Fear is used by both sides to win the hearts, and then the minds, of people. 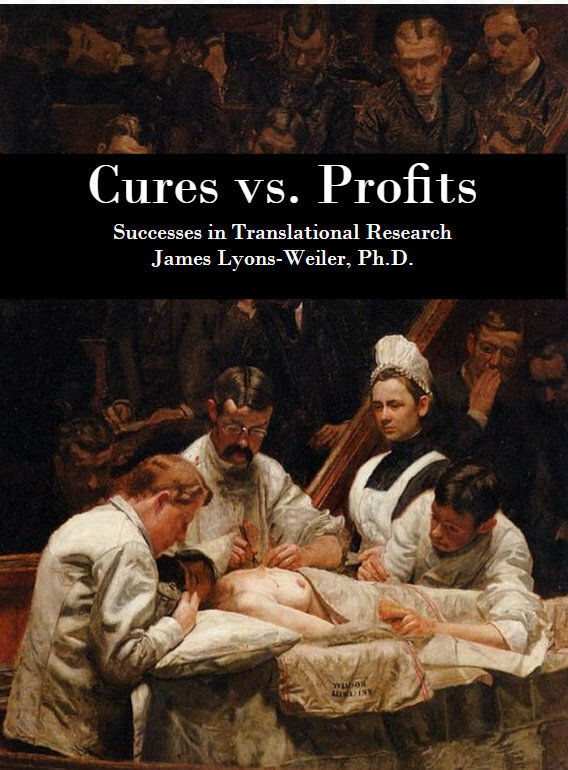 The objective reality is that if the profit motives of Pharma are given higher priority than safety, it’s only a matter of time when society will have to pay for the mistake of not demanding reform in vaccine safety research. Those reforms will come when enough people demand that the old guard be cleared out, and that objective scientists be allowed to have an impartial, unbiased look at vaccines. I have advocated for a new approach to vaccine safety research. Thompson’s reports, entered into the Congressional record, reveal that the CDC cannot be trusted with vaccine safety research. I propose that 5 institutions, research institution be tasked with analyzed the data from each and every vaccine safety trial. Two of these should be chosen by competitive contract (with peer review grant applications and awards), and three should be chosen, by lottery, from those who apply to participate. Those five institutions should make independently of each other, recommendations to a Vaccine Safety board, made of rotating members of pediatricians, chemists, and virologists, who are forbidden from holding any financial interest in any vaccine upon which they vote. The Board would be nominated and elected by a Congress of Citizens who have suffered medical malpractice. I have looked a the CDC vaccine studies demonstrating “no effect”. They clearly tortured the data. An objective assessment of their analyses would point to many, many flaws – including reporting the p-value for the main effect (vaccination) when an interaction term was likely, removal of variation associated with highly collinear, redundant variables. I personally believe that these studies should be retracted from their journals by the journals. Haldane JBS. 1946. The interaction of nature and nurture. Ann Eugen. 1946;13:197-205. King, M. & Bearman, P. 2009. Diagnostic Change and Increased Prevalence of Autism. International Journal of Epidemiology, Volume 38, Issue 5:1224-1234. Liu, K., King, M., & Bearman, P. 2010. Social Influence and the Autism Epidemic. American Journal of Sociology, Volume 115, Number 5:1387-1434. This is great information. Thank you. Now how to get everyone to listen? Another problem with vaccine studies is healthy-user bias, as described by http://vaccinepapers.org/healthy-user-bias-why-most-vaccine-safety-studies-should-not-be-trusted/ Given this bias in all vaccine studies, it is impossible to claim that any of them have been proved safe for the whole population.